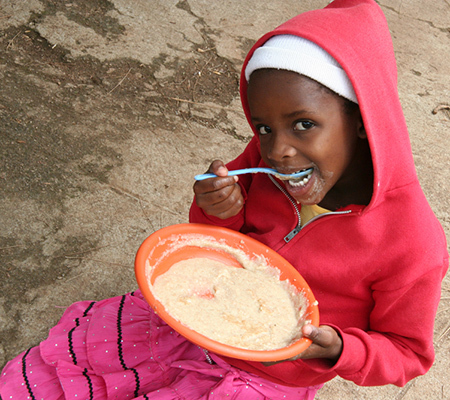 In the past five years, our combined food relief and security programs have helped over 3,204,884 people. Food is essential to our survival. In times of crisis like earthquakes, droughts, floods and famines, people often lose their regular access to food. Crops may be destroyed and food stores lost. In times like this, ERDO responds with appropriate food aid to help bridge the hunger gap until food is regularly available. 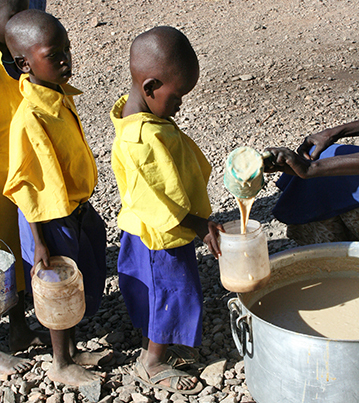 To ease the food aid demands during the 2011/2012 Horn of Africa crisis, a monthly provision of beans, corn, cooking oil, salt and high protein cereal helped families survive until the next rains and harvest. In situations like the severe famine in East Africa, ERDO relies on a strong set of partnerships with agencies sharing similar values and commitment to excellence. Some of these include: Canadian Churches in Action and the Canadian Foodgrains Bank (CFGB). In fact, ERDO is a founding member of CFGB and continues to fully participate in the formation of food relief and security best practices. No non-Governmental Organization (NGO) can continue to feed people on an ongoing basis and it is our experience that while people are grateful to receive the food, they want to provide for themselves. This is where food security programs come in. 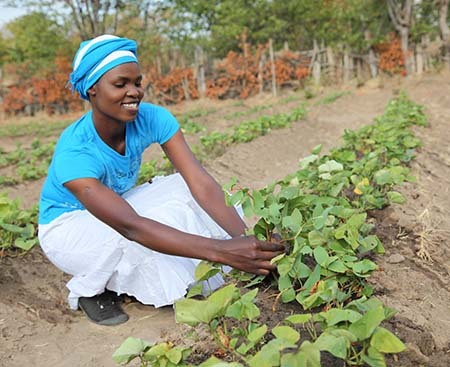 These programs help people recovering from a crisis rebuild their livelihoods and manage future risks that will interfere with their ability to provide food for their families. Most food security programs are agricultural in nature. In 2016, through relationships with CFGB and other partners, we helped feed over 50,000 people in countries like Bangladesh, Haiti, Honduras, Kenya and Zimbabwe. Donations to this work come in different forms: cash, cheques, credit card donations and in ways that are not so typical; through the hard work and generous donations of Canadian farmers, the sale of grains and livestock here in Canada help to provide food aid to countries in need. The Canadian Foodgrains Bank receives matching donations from the Canadian Government (Foreign Affairs, Trade and Development Canada - DFATD, formerly CIDA). For specific programs, ERDO can access matched funds up to 4:1, making your food relief donations reach so many more families in need. Learn more about the Canadian Foodgrains Bank. It is always our desire to promote long term solutions to food security. Food security, as defined by the World Food Summit, exists “when all people, at all times, have physical and economic access to sufficient, safe and nutritious food that meets their dietary needs and food preferences for an active and healthy life”. Hold an event and raise funds for food programs. Your $1,000 fundraising event could generate $5,000 in food with a matching grant. Get event ideas here! Grow crops as a church! With donated acreage you can grow grain, cash it in at a Canadian Foodgrains Bank location, and end up donating several thousand dollars! 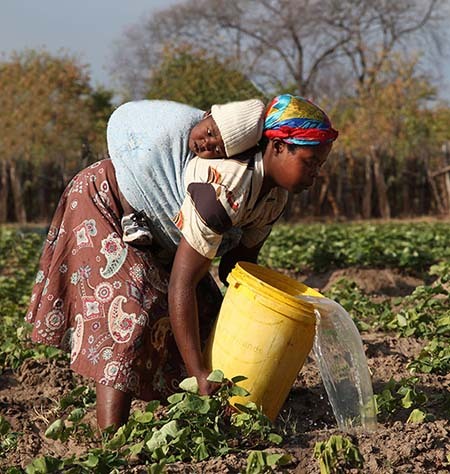 Increase food self-sufficiency of 420 households through agriculture and livelihoods. MasterCard and VISA are accepted on this site.